Industrial vacuums will provide you with targeted and reliable solutions for years at a time if they are cared for properly. It is therefore wise to take a look at five maintenance tips as well as the importance of each. We are referring to any parts found on the bottom of the cleaner in this sense. Scrubbing brushes and any squeegees should be examined for any signs of wear and tear. If they are found to be damaged, it is wise to replace them as soon as possible. Recovery tanks should be emptied on a regular basis; particularly if the solution contains any detergents. Detergents which are allowed to remain static can damage the interior walls of the tank and mould may even form over time. Once the tank is emptied, it should be rinsed with fresh water. Industrial hoovers will often be supplied with mains power via a retractable cord. Be sure to check this cord and any associated connections for frays or tears. In the event that the unit is instead provided with a battery, examine the terminals of the battery for corrosion. These actions can help to prevent dangerous situations from occurring when cleaning your T35 Mini Modern leather Sectional Sofa. Engine belts can become loose due to simple wear and tear. One of the most common symptoms of this situation is a slight burning smell. If such an odour is detected, the belt should be tightened. It is also wise to completely replace the belt once every year in order to avoid damaging other sensitive portions of the engine. One of the main purposes of any industrial vacuum is to remove dirt and grime from a floor. It only stands to reason that its filters will therefore become clogged from time to time. Examine any filters and clean then according to the instructions of the manufacturer. This will help to enhance the overall cleaning power of the vacuum. 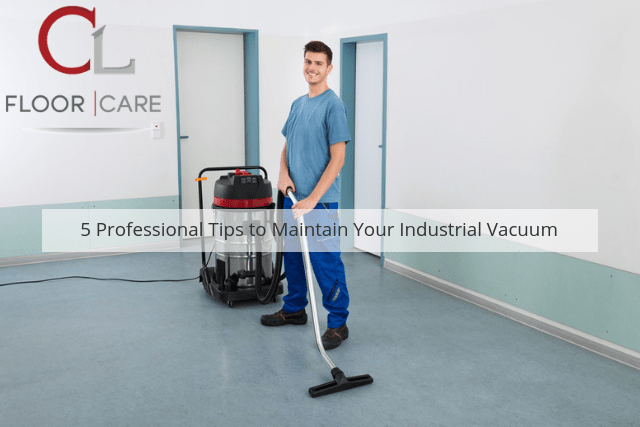 Always keep these five maintenance suggestions in mind if you hope to make the most out of your industrial vacuum cleaner. If you are looking for powerful cleaning solutions or additional advice, please do not hesitate to speak with a CL Floorcare representative at your convenience.